Then look no further than our Cape Town Valentine�s Day guide. Whether it�s a romantic picnic or 6 course dinner, we�ll definitely have something for you! The Eatery at Durbanville Hills will be offering something to cater to everyone's taste on Valentine's Day. Whether a romantic picnic under the olive trees, lunch inside the newly refurbished restaurant or on the deck overlooking the magnificent valley - or even a special Valentine�s Day three-course dinner - Durbanville Hills, outside of Cape Town will get the romantic juices flowing this Valentine's Day. With Valentine�s Day beckoning, Simonsig Wine Estate�s popular Cuv�e restaurant in Stellenbosch, only 50km from Cape Town, is a picture perfect place to treat that extra special person in your life. Cuve�s exquisite Aphrodisiac Valentine�s Menu is a decadent five course affair. Franschhoek wine estate All�e Bleue, has taken the name of its flagship red wine L�Amour Toujours� as inspiration for their Valentine�s Day Celebrations � and planned different menus for parents and lovers! Valentine's Day couples can indulge in the famous J.C. Le Roux trio of La Vall�e Ros�, La Fleurette and La Chanson paired with sweet delights. 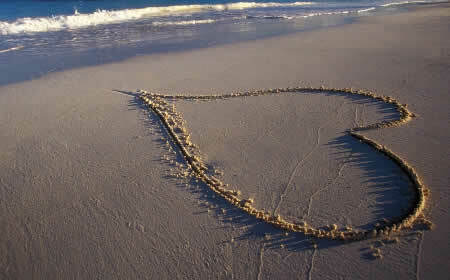 For a romantic Valentine�s Day overlooking Camps bay beach, look no further than the Pepper Club. Couples can look forward to a glass of sparkling wine on arrival and a treat for the ladies. This Valentine�s Day couples will be whisked away to the hotel�s mystical garden for a sensory five course food and wine feast. Romantics will be seated at their own private tables for a romantic moonlit affair infused with delights and surprises for the senses. Holden Manz has planned a special Valentine�s package for two that includes a picnic lunch, dinner at the Franschhoek Kitchen and a stay at the grand Holden Manz Country House. Couples attending the Valentine�s dinner at the Franschhoek Kitchen will be welcomed with a complimentary glass of Colmant M�thode Cap Classique on arrival. Treat the one closest to your heart to a romantic Valentine's Day lunch or dinner at Nederburg�s novel restaurant, the Red Table. With the restaurant�s unique configuration of red tables meandering through the Manor House and into the gorgeous gardens to add to the atmosphere, this makes for an ideal setting for a date to remember. For a romantic Valentine�s Day in the Cape Town cbd, pay a visit to Sinatra's in Pepper street and get a glass of welcoming sparkling wine upon arrival.